Imagine spending your days lounging in a beach chair in the sugar-white sand, watching emerald green waves cascading onto the shore. This dream will come true when you reserve your stay at Six Palms 3B in the lovely Gulf Place resort community. 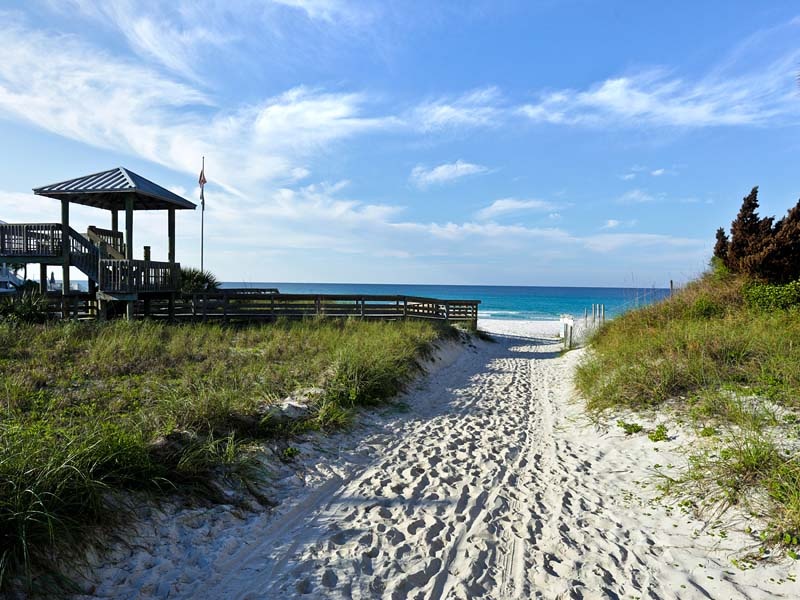 This modern 30A vacation rental is just steps away from the sugar-white sandy beaches of Santa Rosa Beach. 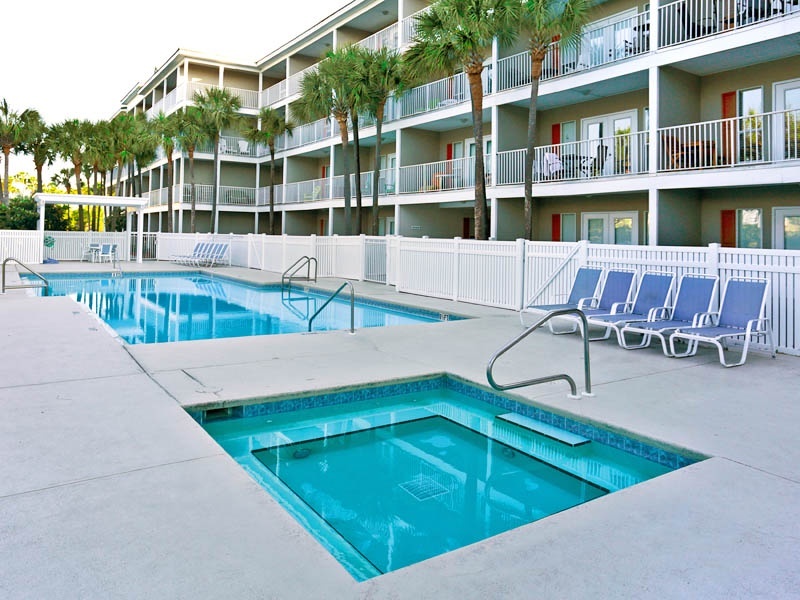 This two bedroom condo rental offers ample space for up to six people, making it a fantastic choice for a group getaway. 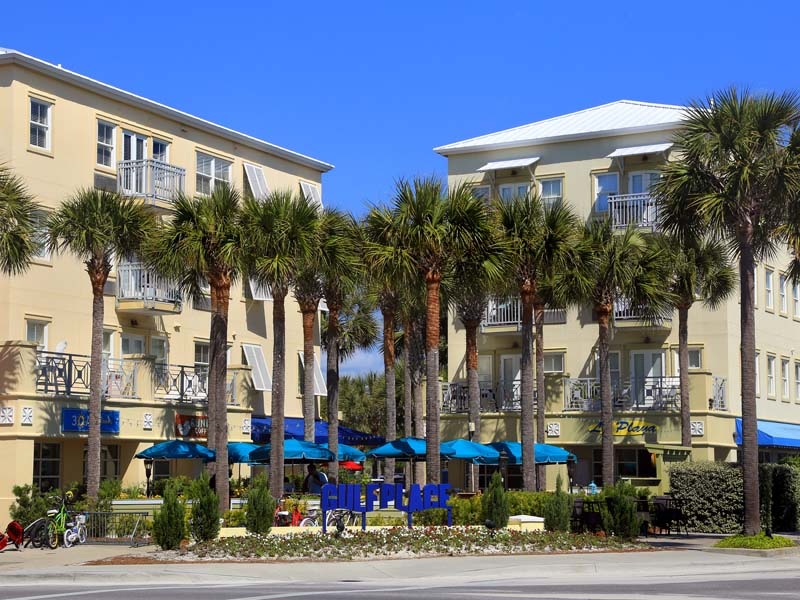 Six Palms is the newest property within the Gulf Place resort and contains only six condos with two condos per floor. Gulf Place Six Palms 3B was decorated with attention to detail, with upgrades including hardwood floors, designer furnishings, and custom cabinetry. You’ll also find flat panel TVs and custom window treatments throughout. The kitchen is outfitted with stainless steel appliances, a gas range stove, and granite countertops. The master bathroom comes with a walk-in rain shower. The second bedroom also comes with a full, private bathroom. Start and end your days relaxing on your private balcony while you take in the view of the Gulf of Mexico. 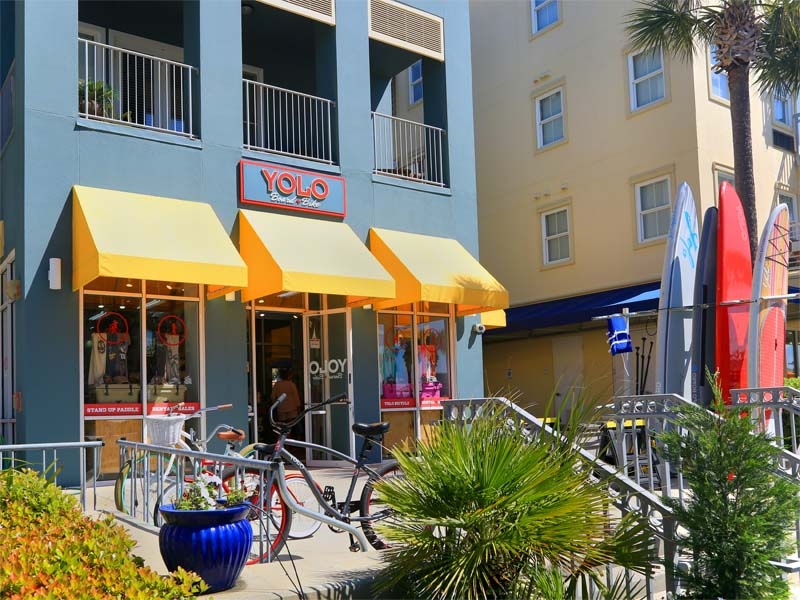 Conveniently located in the Gulf Place Town Center between Seaside and Destin, Florida, you are within walking distance of dining, bike and water sports rentals, shopping, and more. 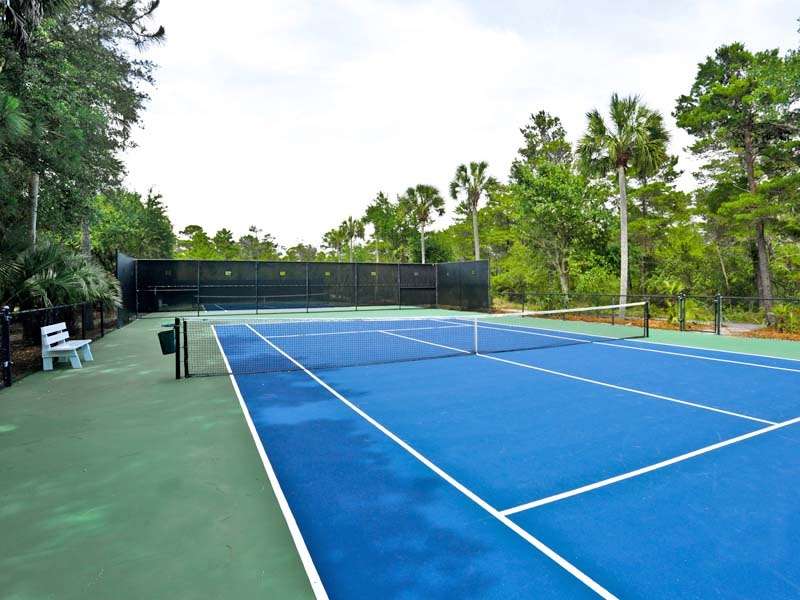 Enjoy incredible resort amenities including three community pools, a hot tub, tennis courts, shuffleboard, beach set-ups, and a two-acre grass park for the kids to play. An eighteen-hole golf course is located next door. Take a short walk to the beach and sink your feet into the sand. Contact our Southern Perks partners for deals on beach and bike rentals. 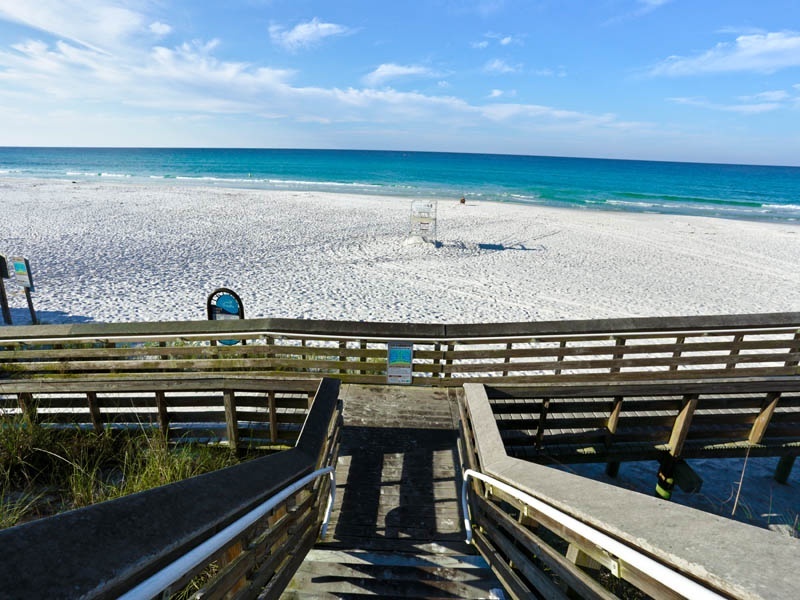 They will also provide discounts on exciting activities in the Santa Rosa Beach area. Be sure to also take advantage of complimentary in-season beach service, with one umbrella and two chairs. 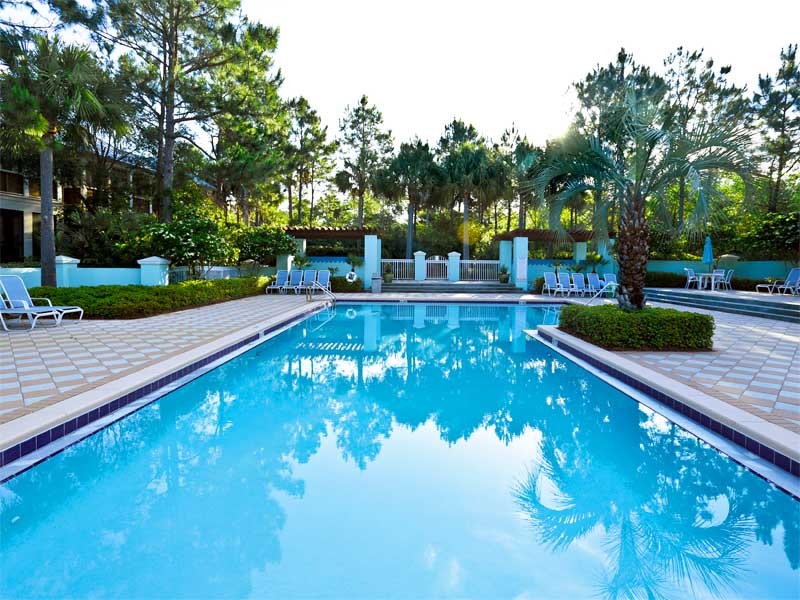 An unforgettable escape awaits you on Scenic 30A, so book your stay in Gulf Place Six Palms 3B today.